Ink Master | Season 5: Rivals | The Judges | Oliver Peck. Promotional fotografias for season 5. HD Wallpaper and background images in the Ink Master club tagged: photo ink master season 5 rivals judges oliver peck. 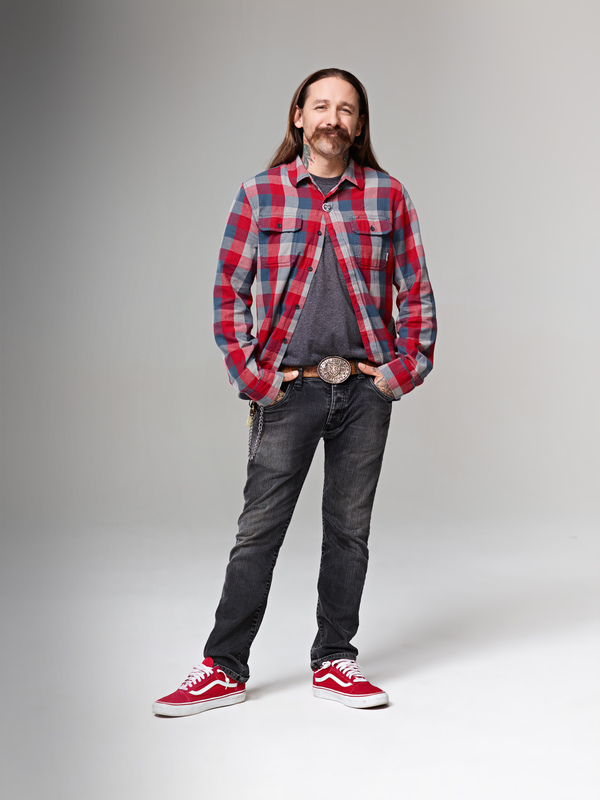 This Ink Master photo might contain outerwear, overclothes, vestuário exterior, roupas normais, calças compridas, calças bellbottom, partes inferiores de sino, botas de sino, and bellbottom calças.